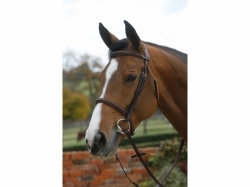 This quality leather bridle has squared stainless steel buckles and comes complete with rubber reins. 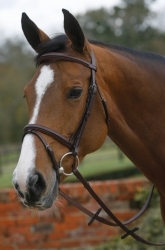 It has a double raised crank padded noseband with flash strap and matching double raised browband. The shaped padded headpiece is embossed with the Mark Todd signature stamp. A lovely addition to the Mark Todd Collection.